Kids love tablets and smartphones, but you can’t just hand over a tablet and let them go to town. They need help finding appropriate apps, games, and videos. 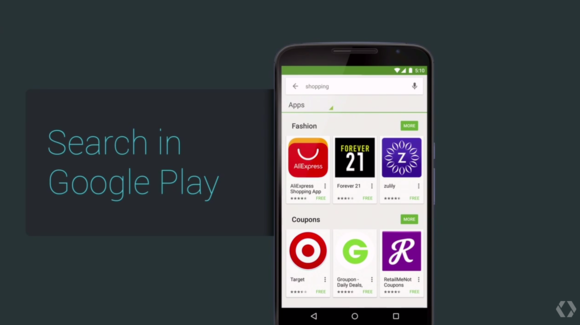 That’s where you, the parent, comes in, and Google is making changes to the Google Play Store to make it easier. 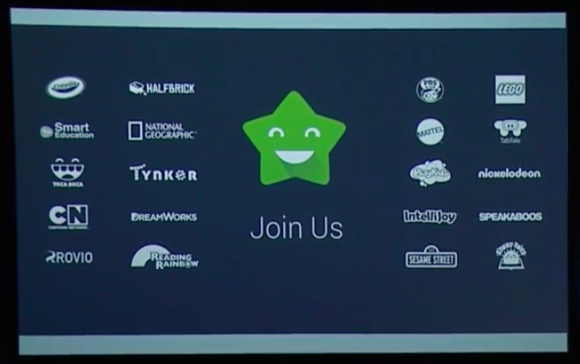 Announced Wednesday at the Google I/O keynote, the Google Play Store is going custom—and not just for kids, for everyone. If you’re a fitness buff, you’ll see the latest and greatest workout apps on the home screen, and if you’re a foodie, the latest cooking shows and apps. When you search for a general topic like shopping, the results will be broken down into more manageable chunks, grouping together apps under subheads like Coupons and Fashion. This is a much better experience than just lumping together any app that has anything to do with shopping. Google went further to assist parents of young children, providing a brand-new experience for discovering family-friendly apps, games, movies, and TV shows. Anything appropriate for families will be labeled with a friendly green star. 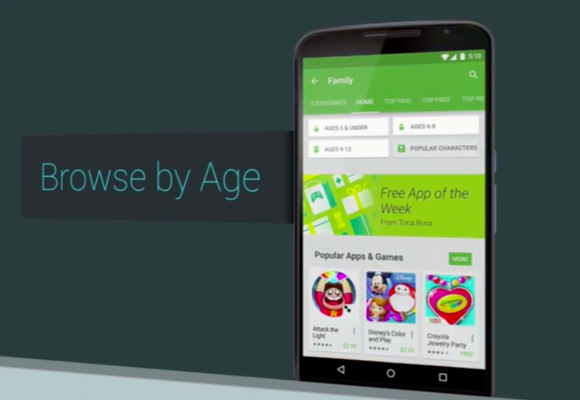 Parents will be able to browse by age, or search for something and then filter the results by age. You can also view dedicated pages for popular characters and kids’ franchises, so if your child is obsessed with Peppa Pig or Star Wars, you’ll be able to see all the offerings of every content type in one place. Third-party content ratings will give parents an idea of which age groups each item is appropriate for, without having to take a developer’s word for it. Google will also provide improved parental controls (but didn’t elaborate on that during the keynote), as well as clear labeling for ad-supported apps, and stronger password protection for in-app purchases. After all, the kids may be all right, but letting them run up huge charges buying extra lives or in-game currency is always all wrong. Of course, this wasn’t the only cool new product Google announced at I/O. For the full rundown about Inbox’s tweaks, the new Photos app, the Brillo OS for Internet of Things devices, and a whole lot more, check out Greenbot’s Google I/O landing page. And be sure to vote in our survey below for the major Google I/O announcements that excite you the most.